Recently, there has been quite a whole lot going on behind the scenes here at Dobby's signature - a few tweaks here and there is being put in to bring you the best. Currently, i even feel like i've neglected myself so much but i guess that's expected especially when you work overtime on pet projects...lol! If you've got questions on recipes posted on the blog, be sure to leave them in the comment section and i'd get back to you as soon as possible. Hope you've also subscribed to the blog by putting in your email below so you don't miss out on updates coming up. 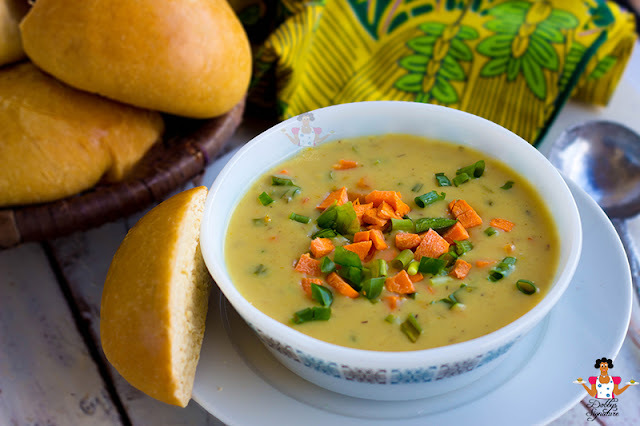 With that aside, i've got this tasty mixed vegetable soup recipe for you today. 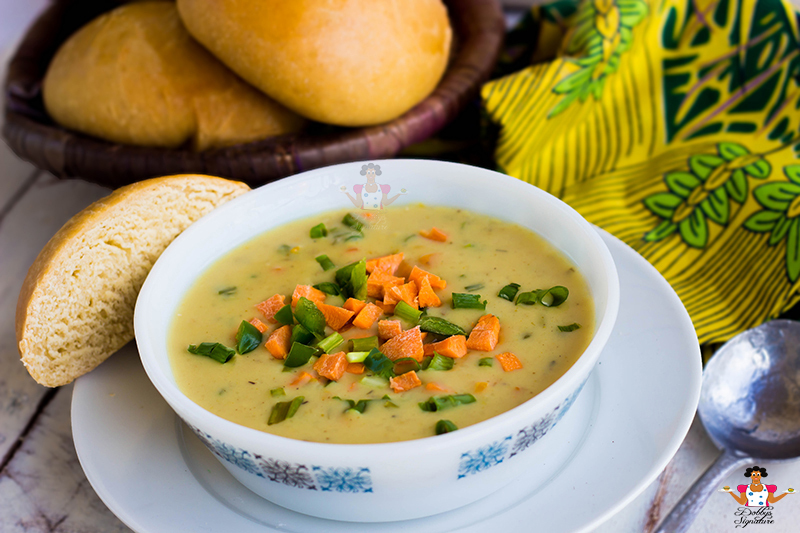 Now this isn't the average Nigerian soup which is taken with swallow but a sauce like meal often served as a first course, starter or entrée before a main meal. It may be also be accompanied by soft bread to go along with it. 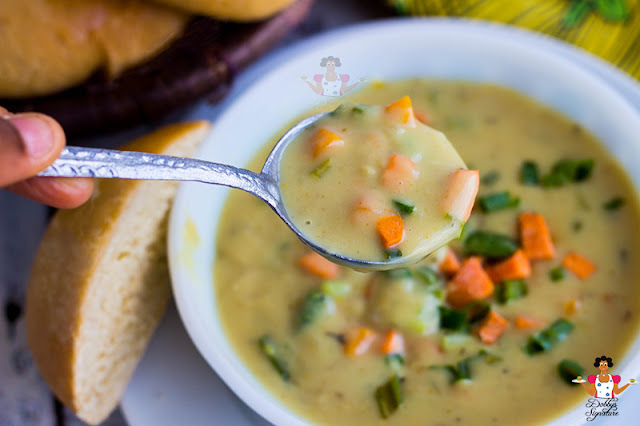 This tasty milky vegetable soup would have you salivating for a very long time to come. Hope you enjoy! Step 2: Heat up the oil/ butter in a pot and saute the onions till it turns translucent. Add the carrots, peppers and saute for about 3 minutes. Add water or stock, with extra butter if you like and cook till the water starts to boil. Step 3: In a boil combine the corn flour or all purpose flour with the milk. Make sure there aren’t any lumps. 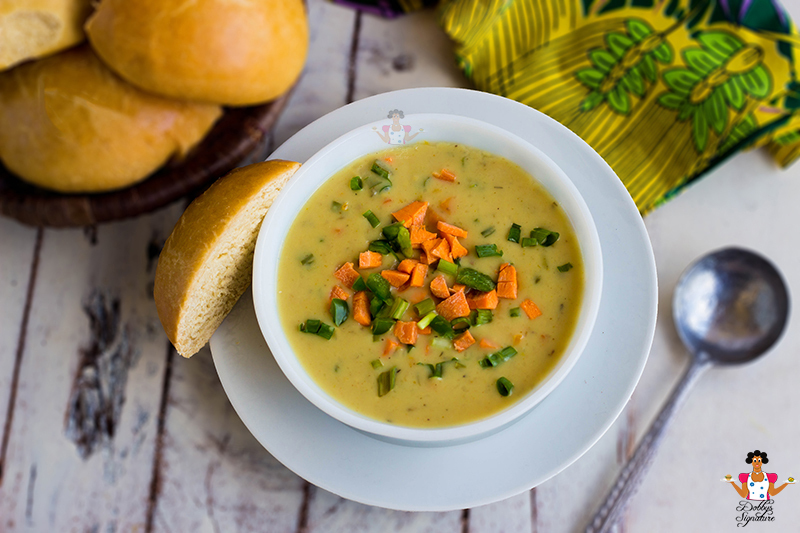 Add the flour and milk mixture to the soup, salt to taste and let it cook and thicken further for 5-10 minutes. This looks really yummy. Would be sure to try it out. Thanks dear. Hmm... Dobby, are you sure this one will go well with my digestive system? ?